In partnership with the Northern Health and Social Care Trust and Alzheimers NI MEABC have been providing Dementia Friendly workshops all over the Borough. These workshops provide attendees with improved awareness of dementia and teach people how best to deal with a person suffering from dementia. The feedback from these workshops have been extremely positive and we will continue to connect with both businesses and community groups to ensure that Dementia Friendly workshops continue to be provided throughout the Borough. To date, we have carried out nearly 20 workshops and we aim to extend this programme throughout the Borough. Currently, over 270 people from more than 100 businesses and organizations have attended dementia-friendly workshops. MEABC’s Dementia Friendly programme was recently nominated for an award at the Northern Ireland Local Government Awards Ceremony under the category for Best Local Authority Community Planning Initiative. 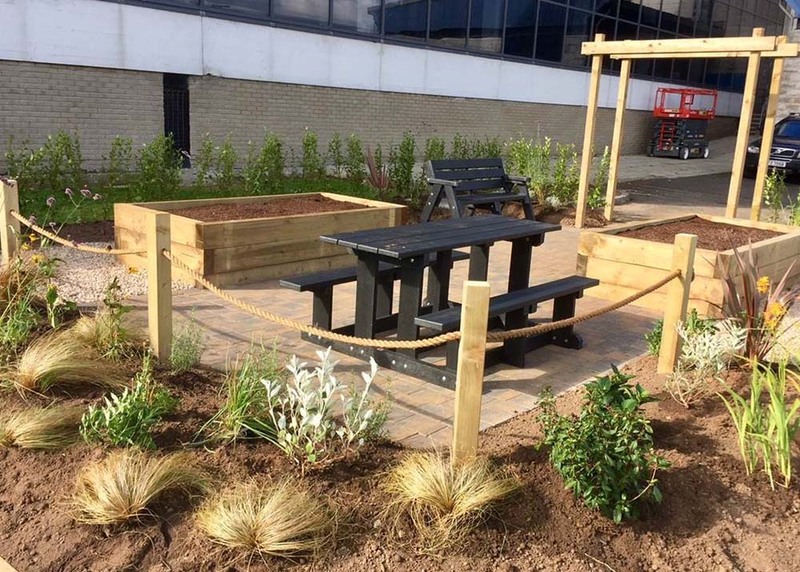 Further to the Dementia Friendly workshops a ‘Dementia Friendly Garden’ has been developed at Larne leisure centre near Larne promenade. This garden is a place where people suffering from dementia can feel at ease and offers a safe and shared space for dementia sufferers and their carers to enjoy. The garden’s designers, Out There Services, are fully dementia friendly trained and have planted rosemary, known for aiding memory, and used colours and textures that make it easier for people with dementia to differentiate areas of the garden.